10:00-11:00 AM, upstairs, 'Green' Room. 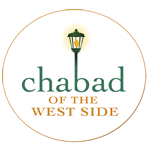 Sponsorship for this week's Kiddush is available. Click here if you would like to sponsor.